If there's an industrial wasteland where a great European city hits the water — London, Berlin, Amsterdam, you name it — it's slated for a major makeover. Derelict areas on the wrong side of the river — what we in the US might call "the wrong side of the tracks" — are being rejuvenated with modern buildings and fresh greenery. My pick for one of Europe's most impressive urban overhauls is London's Docklands. In the early 1800s, the Docklands was the home port of "the empire upon which the sun never set" — so it became the world's leading harbor. But after being destroyed by Nazi bombers during World War II, the Docklands struggled and declined. Several decades later, investors realized the area was ripe for redevelopment, construction took off, and the neighborhood called Canary Wharf was born. Hop on the Tube to go out there and immerse yourself in today's London. Where sailors once drank grog and stevedores unloaded cargo, thousands of office workers (the stevedores of the Information Age) populate a forest of skyscrapers, towering high above the remnants of the Industrial Age. Like most of Europe's redevelopment projects, Canary Wharf was designed with a futuristic people-friendliness. Locals enjoy plenty of green spaces, art-filled plazas, trendy cafés, and pedestrian bridges that arc over waterways. Yet traces of its illustrious shipping roots can still be found. For instance, a row of 19th-century brick warehouses still lines the canal. An old sugar warehouse now houses the Museum of London Docklands, which tells the story of the world's busiest 19th-century port. Of any place in Europe, Berlin is a work in progress — a place you need to be in every couple of years to see how it's developing. 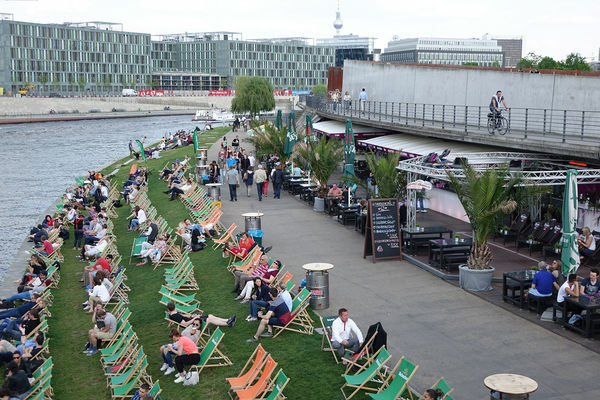 One way to take it all in is to enjoy the vibrant scene along the Spree River. During the Cold War, Berlin turned its back on its riverbank. Much of it was a militarized "death strip" — part of the Berlin Wall that separated people on the East from the West. The East German regime even put nets underwater to stymie those swimming to the West for freedom. What's most remarkable about Berlin is how it's gone from a home base of aggression to the capital of chill. Today the riverbank is a people-friendly park lined with impromptu "beachside" beer gardens with imported sand, BBQs in pocket parks, and locals walking their dogs, taking a lazy bike ride, or jogging against the backdrop of stunning new governmental architecture. It's easy to join the scene — just grab a drink and lounge chair, walk or bike along the trail that leads from the cathedral to the main train station, or hop aboard a riverboat cruise. Another city in transition is Amsterdam, where a new north-to-south subway line is being built. This will move much of the transportation clutter across the wide IJ waterway to Amsterdam's (until now) underdeveloped north bank. Long neglected as a sleepy residential zone, this side of the water — which will get a huge boost when the new transit hub opens — is on its way to becoming a smart people-zone. Heralding the coming gentrification of this area is the striking EYE Film Institute, with a complex of museum spaces, theaters playing art films, and a ultra-modern terrace café with great waterside seating. One of the most exciting revitalization projects in all of Europe is in Oslo (though, being Norwegian, maybe I'm biased). 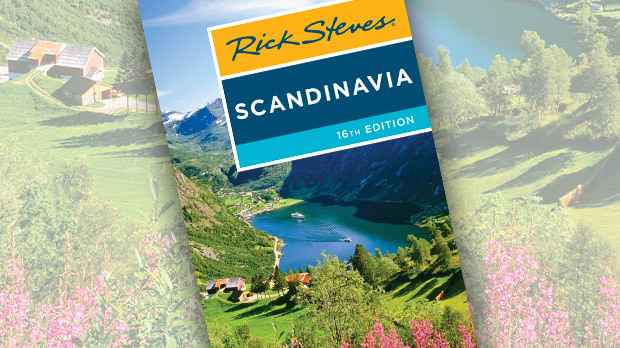 Oslo is a classic old Norwegian city. But in recent visits, I've been amazed at some of the dramatic changes going on here. The main construction centers around an ambitious urban renewal project called Fjord City (Fjordbyen). In a few years, Oslo's waterfront will be a five-mile-long strolling and biking promenade — with nearly all traffic zipping through the city in underground tunnels. Oslo's harborfront was dominated by the Aker Brygge shipyard until it closed in 1986. Today Aker Brygge is a promenade — each night it's a Nordic paseo. I like to enjoy the scene with a simple picnic from a grocery store. The harborfront comes with lots of picnic tables, comfy wooden lounges for two, and places where those citizens who can't afford the pricey restaurants can still enjoy the same views. One harbor over from Aker Brygge, Oslo's striking Opera House — opened in 2008 — is still the talk of the town. 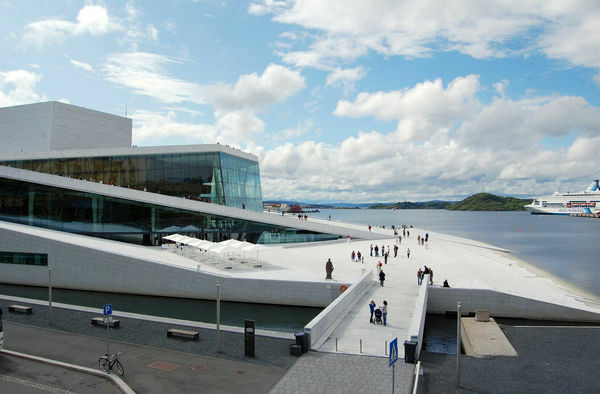 Its white-marble roof famously slopes into the fjord, creating a public plaza, allowing the people of Oslo to literally walk on top of the theater they helped fund. Inside, a state-of-the-art, 1,400-seat performance hall brings ballet and opera to the masses. All across Europe, cities are investing in the future and reinventing themselves. And, after a lifetime of traveling there, I never get bored. 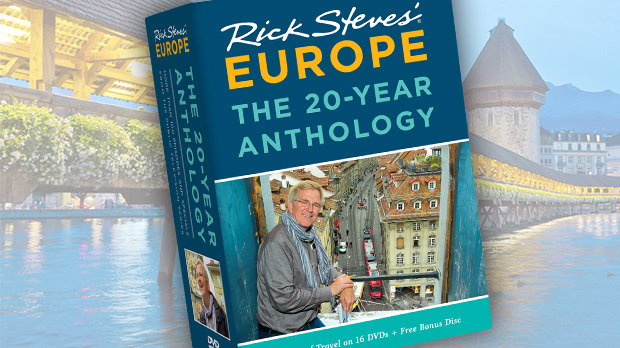 With ever-changing cityscapes and a dedication to good living, Europe's cities keep me on my toes.